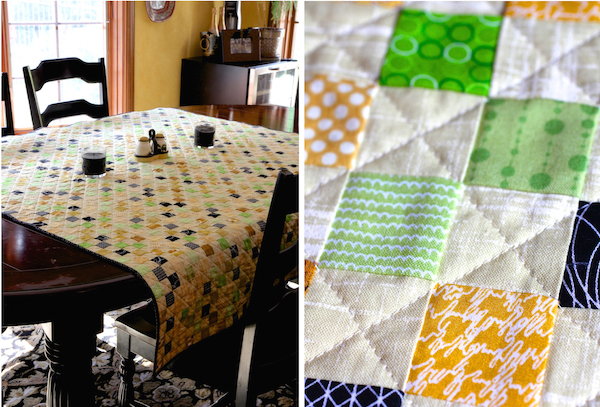 I love the look of a quilt used as a tablecloth. So I thought I would make one for our kitchen table. We’re empty nesters now, the kitchen table doesn’t get used for meals nearly as much as when my kids were at home and so I made one. I don’t care if gets some crumbs or spills on it – it’s meant to be used and thrown in the washer. 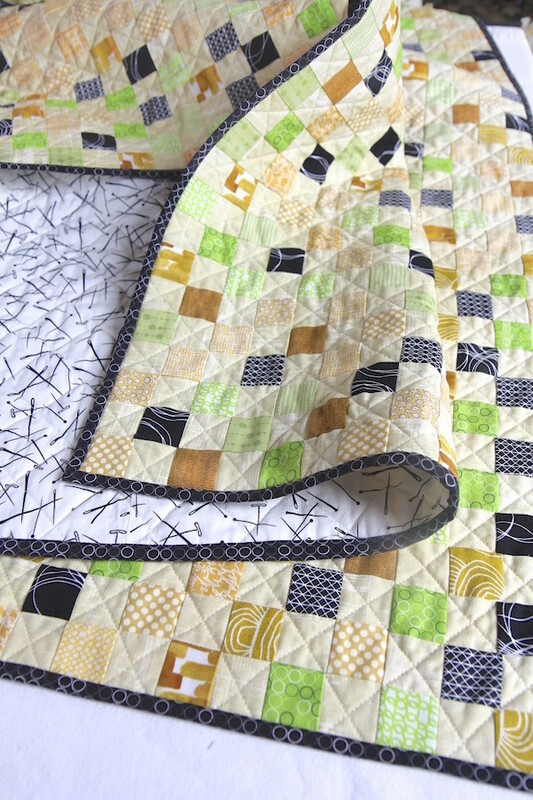 I love postage stamp quilts but I wanted to use coordinated fabrics that would look right in the kitchen area, which is black and gold. Then I wanted a touch of green to complement all the greenery outside the window. 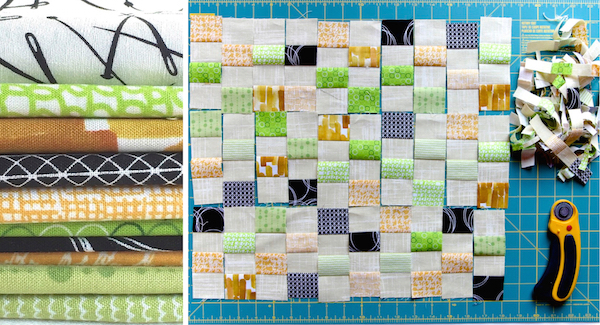 I used Hawthorne Thread’s color grid tool to select fabrics and found so many that I liked. I decided on about twelve fabrics I really liked and did 16-patch blocks. The background fabric is Laura Gunn’s Painter’s Canvas in Cream. There are 2,304 squares in this quilt! 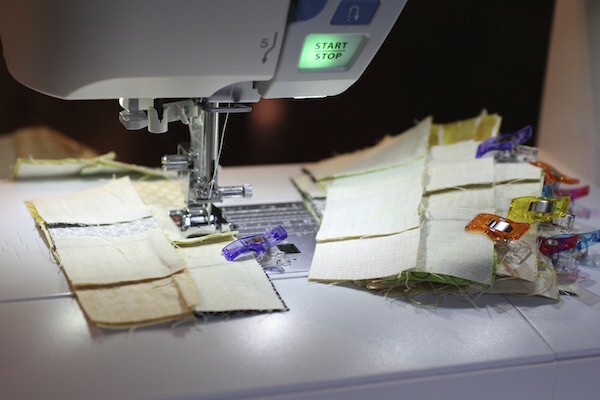 The top took close to 30 hours to make – there was a lot of rotary cutting, piecing and matching seams. The finished quilt is about 60″ x 60″. For the backing, I chose a fabric from the Maker line called Make and Pin. I really love this fabric. For the binding, I chose Robert Kaufman Ring Spots in Pepper. And the batting is Warm and Natural Cotton. It drapes very nicely but has a lot of structure because of all those seams! Lots of seams. It’s nice to have a quilt you enjoyed making so much right out where you can see it all the time. 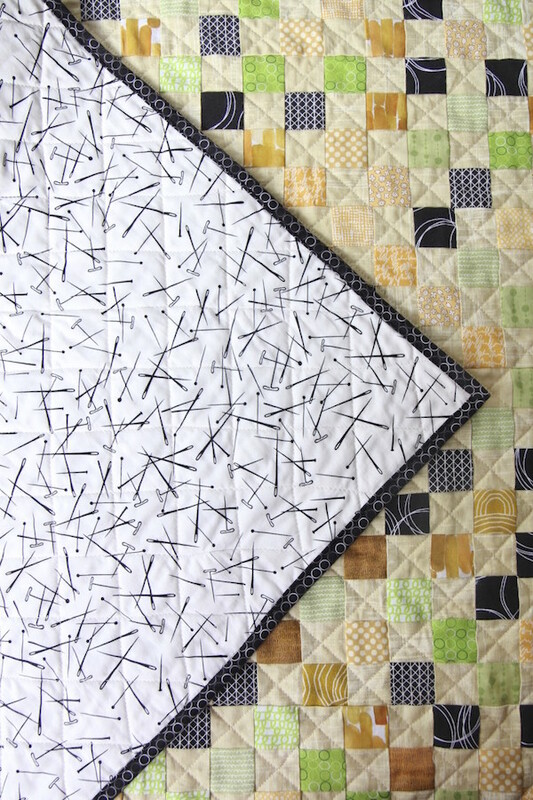 This entry was posted in finished quilts on October 16, 2015 by Beech Tree Lane Handmade. Pat: Thank you! 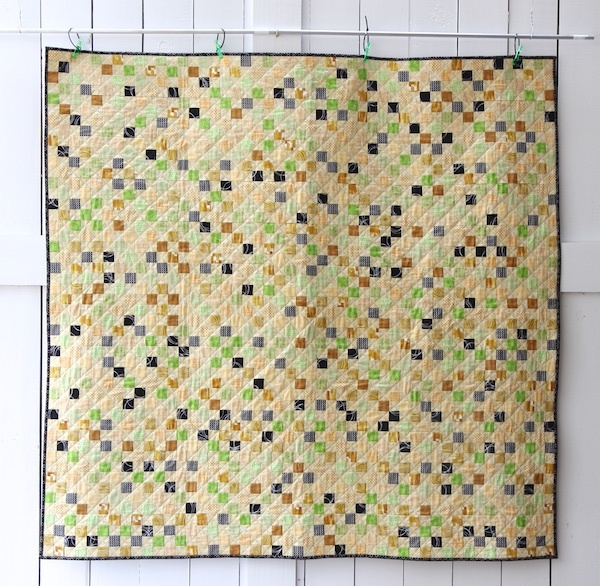 This is one of my very favorite quilts of all time! I discovered your blog while waiting on a delayed flight. Glad for the delay! 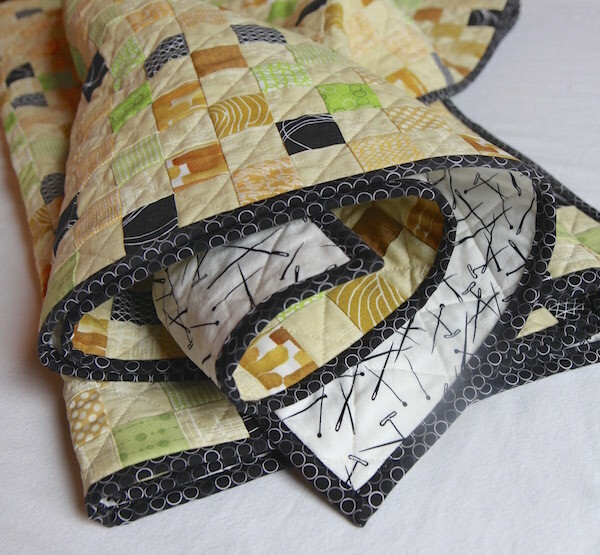 Love your quilts and tutorials! 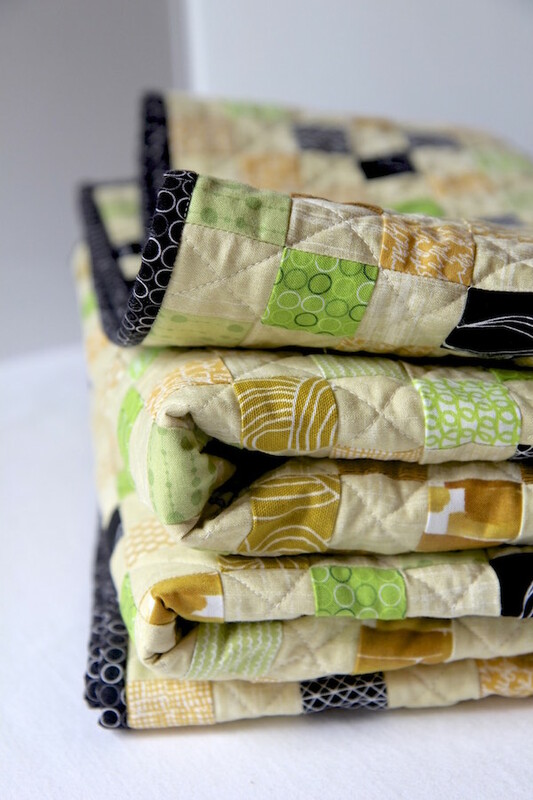 Your quilts are beautiful and so inspiring! 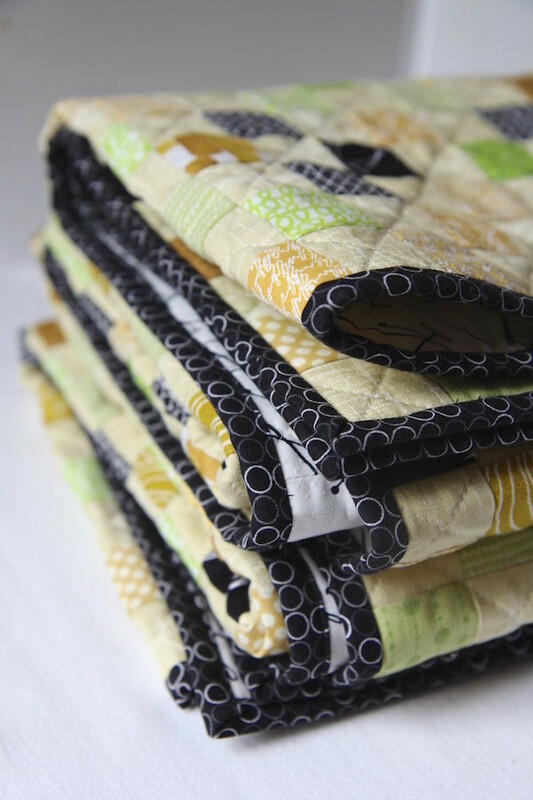 Can you tell me how many yards of each fabric needed to make this postage stamp quilt?